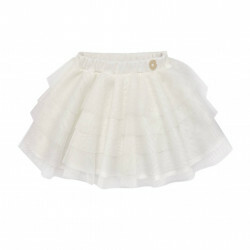 Short skirt for baby girl with an adjustable elasticated waistband to adjust the size. 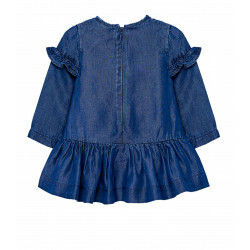 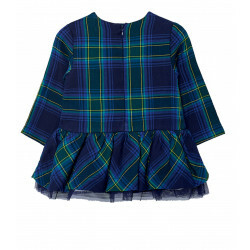 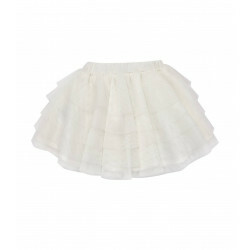 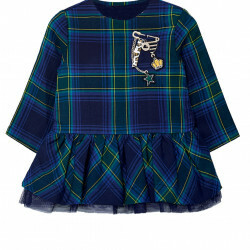 It is made from lightweight, sheer tulle fabric with a comfortable, durable, easy to wash poplin inner lining. 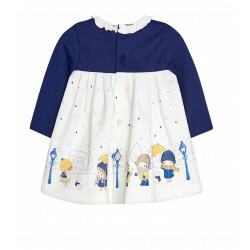 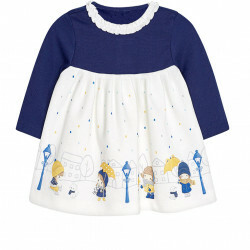 Layered design from the waist down, which gives this skirt a voluminous look.100% Polyester..
Knitting Cardigan: 55% Acrylic 45% Cotton T-Shirt:100% Cotton..
Long sleeved onesie with contrasting coloured detailing for newborn baby boy. 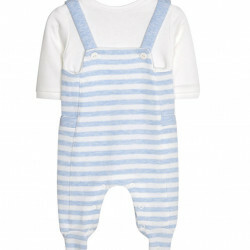 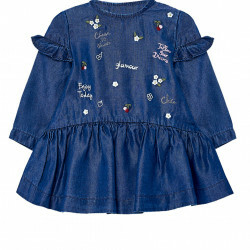 This design features a t-shirt with a round neck collar and an overlapping, non-detachable dungaree onesie. 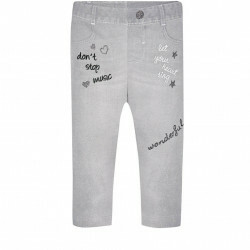 There are snap-button fasteners around the crotch and on the back. 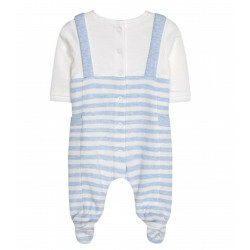 This onesie is made from soft, stretchy cotton ..
Pullover: 95% Cotton5% ElastaneTrousers:64% Polyester 34% Cotton 2% Elastane..